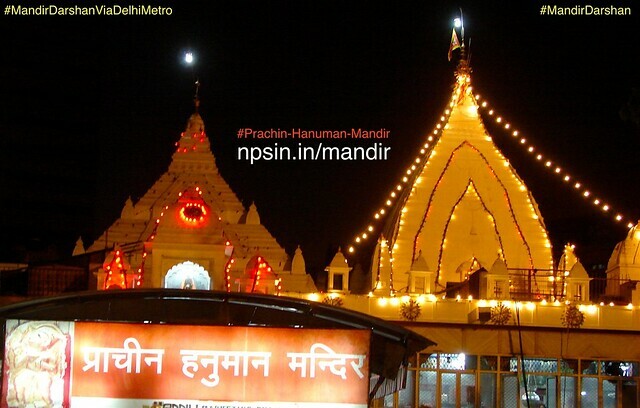 Prachin Hanuman Mandir is an ancient temple dedicated to Bal Hanuman from the Mahabharata period. It is claimed to be one of the five temples of Mahabharata days in Delhi. It is claimed that this continuous 24-hour chanting of the mantra \"Sri Ram, Jai Ram, Jai Jai Ram\" has been recorded in the Guinness Book of World Records since August 1, 1964. Most Famous Bal Hanuman Temple in Delhi. Pandavas Established Temple After Won the Kurukshetra. Tulsidas Also Visited This Holy Place During Hanuman Chalisa Hymns. Guinness Book of World Records For Continuous Japa. Mughal Emperor Akba Also Come to Pray Bal Hanuman. Main shikhar with half moon offer by mughal emperor Akbar, which is also visible in night view. Main entry gate of Prachin Hanuman Mandir from Hanuman Vatika. After won the mahabharat Pandavas foundation several temples, Bal Hanuman temple is one of them. During his spiritual visit of Delhi, Tulsidas stay this holy place and written Hanuman Chalisa in this temple. 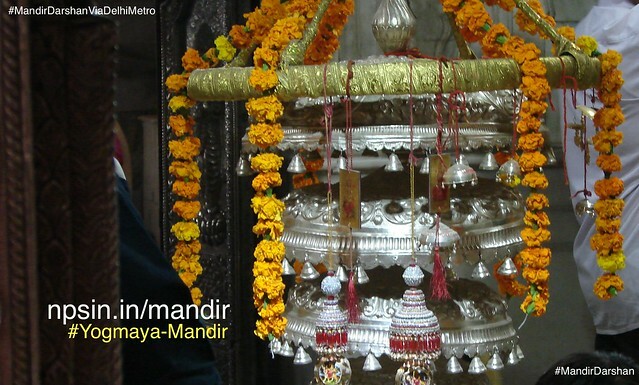 Mughal emperor Akba offer a silver moon, which is placed on the top of Hanuman temple. Maharaj Mansing First build present structure of mandir. Renovate by Maharaj Jaisingh from Jaipur. Shri Goswami Tulsidas Ji stableshed leftmost of main outer hall entrance.